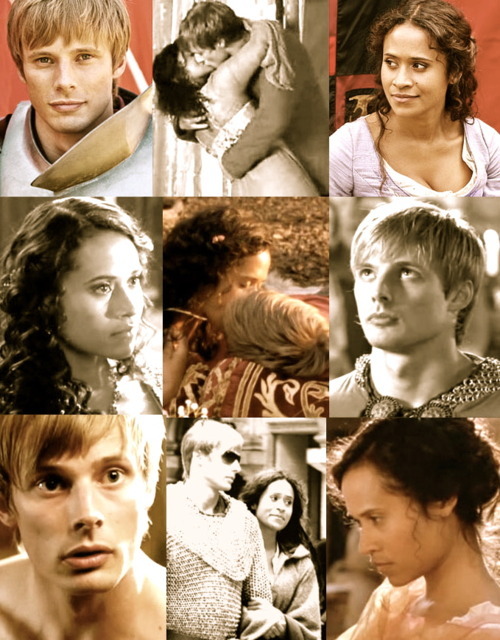 Arthur and Guinevere - A Legendary Love. . Wallpaper and background images in the Arthur and Gwen club tagged: arthur gwen bradley james angel coulby. This Arthur and Gwen photo might contain portrait, headshot, and closeup. I just finished reblogging this at Tumblr. This is gorgeous. I do believe this is Melly's. Thanks HQ. I love Melly's style. There is nothing cluttered or ever overdone about her style of work at all. Yes this is mine. Joppa, Nanna and Stacey I am so glad you like it. Thank you! Your words mean a lot. Especially since it is coming from you guys. I can't make anything more advanced. But I am a firm believer of less is more. Arwen is so much fun to work with, because they look so perfect together. aww melly. Your stuff always makes me smile. from the heart... Brights my day... So, thank you! It really is beautiful, Melisey. I love that you snuck in one little Brangel pic as well.